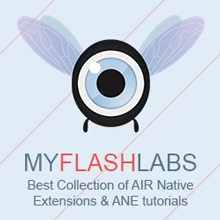 NativeAlert is an extension for Adobe Air that enables the use of mobile native dialog box (IOS Andoid) – Toast message, Text Input dialog, Progress dialog, Alert dialog, multi single choice dialog and System Preferences. NativeProgress (Android / IOS): display the native dialog showing a progress bar or a spinner. //event.preventDefault(); // default behavior is to remove listener for function "someAnswerFunction()"
i read a lot of threads about adding something to command line but how can i do this with FLASH CS6 ? I haven’t tried to compile and use this native extension up to the present moment. Have you tried to reach the author?